The Dutch retailer was only alerted after the book had gone on sale and shocked parents began posting comments on social media. 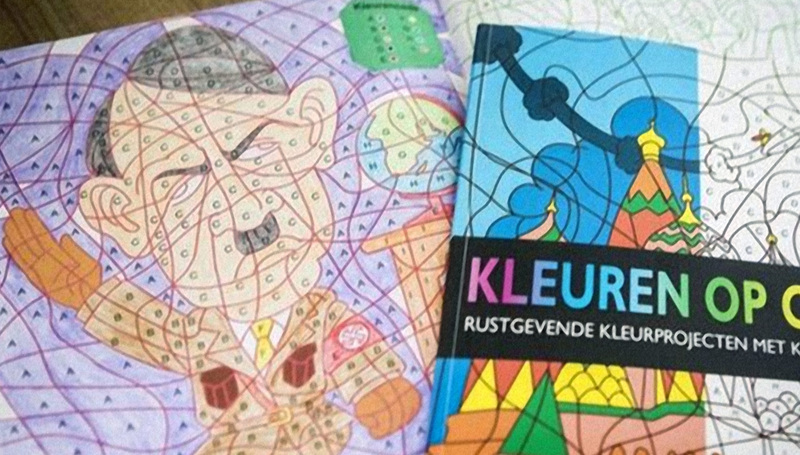 One parent posted an image of the page with the caption: "Nice, your colouring book!" Another customer called it a "disgrace" on the company's Facebook page. Enjoy with a nice pint of Hitler Ice Cream. In 1942, Hitler paid a secret visit to Baron Carl Gustaf Emil Mannerheim, Marshal of Finland and Commander-in-Chief of the Finnish Defence Forces in honor of Mannerheim's 75th birthday. Is Trump on crappy prescription stimulants, like Hitler?